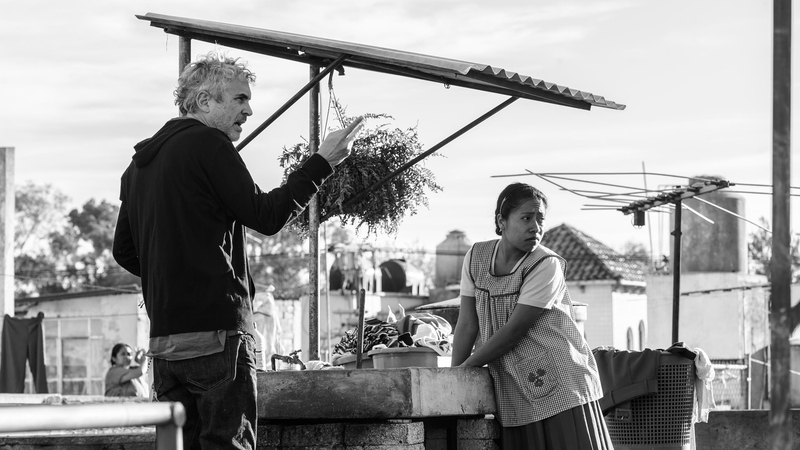 The winner of last year’s Golden Lion for The Shape of Water, Guillermo Del Toro joked “Let me see if I can pronounce this,” before announcing to very few peoples’ surprise that Alfonso Cuarón had won Venice’s top prize for his sumptuous memoir of childhood, Roma. In his speech, he pointed out the serendipity that today was also the birthday of the maid who he based the main character on. This has been a startling festival. Of the ten editions which it has been my privilege to cover, 2018 feels like it has boasted the highest level of consistent quality. The awards were inevitably going be difficult to dish out. Nothing for the excellent Vox Lux for example. Nor for Roberto Severini’s What You Gonna Do When the World’s on Fire?. But few will argue with Olivia Colman’s much deserved Volpi Cup for her Queen Anne in Yorgos Lanthimos’ The Favourite, nor that the film itself picked up the Grand Jury Prize. Willem Dafoe took the Volpi Cup for his wonderful turn as Vincent van Gogh in Julian Schnabel’s At Eternity’s Gate. Jacques Audiard received the Best Director nod – to put next to his Palme d’Or for his first English language film – the postmodern western The Sisters Brothers. A similarly irreverent turn on the western, The Ballad of Buster Scruggs, gave the Coen brothers the screenplay award, collected by actor Tim Blake Nelson. Jennifer Kent’s The Nightingale also picked up two prizes: the Special Jury Prize and the Marcello Mastroianni Award for best emerging actor won by the male lead Baykali Ganambarr. Silver Lion for Best Director: Jacques Audiard, “The Sisters Brothers,” U.S.
Grand Jury Prize: “The Favourite” Yorgos Lanthimos, Greece, U.K.
Volpi Cup for Best Actress: Olivia Colman, “The Favourite,” Greece, U.K.
Volpi Cup for Best Actor: Willem Dafoe, “At Eternity’s Gate,” U.S.
Best Screenplay: Joel and Ethan Coen, “The Ballad of Buster Scruggs,” U.S. The 75th Venice Film Festival takes place from 29 August-8 September.